you and I grab at the grocery store each week. And that’s just the tip of the iceberg—the full story can be found here. of adverse reactions to food additives according to some reports. Even seizures and deaths have been blamed on it. You should never eat it… or ANY foods like it. new levels… All in the name of greed. truth about this hazard that threatens our very existence as a species. new docu-series for you… Register for it here! It’s official: the “mandatory” GMO labeling rule will obscure more than it makes transparent. Action Alert! The USDA has released its final GMO labeling rule, and it’s not good. As we feared when the agency released its proposal earlier this year, the so-called GMO labeling law will apply only to a narrow set of foods. Congress and the USDA have offered a number of loopholes and exemptions to food companies, undermining any semblance of a consumer’s right to know. It’s as if the USDA asked the food industry to write the rule themselves. The problems start right at the foundation. 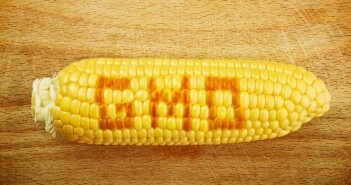 The agency has decided to use the term “bioengineered”—a term many Americans may not be familiar with—rather than GMO. When the proposal was released, we pointed out that this is straight out of an Orwellian playbook. Many Americans know the term “GMO” and can connect it to the labeling debate—so the government decides to use a different term that sounds more innocuous. 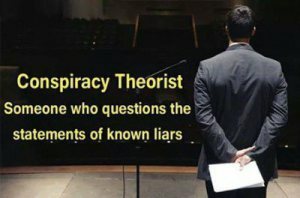 If the government was actually concerned with communicating information clearly to consumers, they would simply use the term “GMO” and not other terminology with which Americans may not be familiar. The problems continue with the definition of “bioengineered.” The final rule defines bioengineered as a food that 1) contains genetic material that has been modified through in vitro recombinant deoxyribonucleic acid (DNA) techniques and 2) for which the modification could not otherwise be obtained through conventional breeding or found in nature”—essentially, combining DNA from two different sources, usually two different organisms. This is a documentary about the brutal conditions under which factory farmed animals are raised in the UK, Australia and the US. This type of footage is extremely rare because Food Inc makes every effort to conceal the disgusting conditions under which our meat is produced. Factory farmed pigs and chickens seem to fare the worst. Even though pigs are as intelligent and emotionally complex as dogs, they are raised in extremely confining cages and forced to lie in their own feces, as well as being routinely tortured and beaten by their keepers. Pigs, like most other factory farmed animals, are fed massive doses of antibiotics (contributing to antibody resistance and the rise of “superbugs”) while continual exposure to feces makes factory farmed meat a major source of food borne illness. Chickens and more than 90% of ducks and turkeys are also crowded into pens. In chickens raised for meat, 45% suffer painful fractures because their specially bred bodies are too heavy for their skeleton. What seems most consistent among all factory farmed animals (besides their continual exposure to feces) are the inhumane conditions under which they are killed. Although most jurisdictions require them to be asphyxiated or electrically stunned prior to slaughter, abattoir personnel are rushed and poorly trained. As the film clearly shows, many animals are still alive when they’re butchered. These are my sentiments along with a double major middle finger salute to the Medical Mafia, Pig Pharma, Lying Vaccine industry, FDA (Fraud & Death Administration) , CDC (Center for Disease Continuation), Lamestream media, politicians, government & all their subsidiary’s! Only fools trust these criminal organizations. CHECK OUT THE MANY, MANY, MANY LINKS BELOW OF FRAUD & DECEPTION. THE BATTLE LINES HAVE BEEN DRAWN AS BLACK FARMERS CHALLENGE THE STATE OF GEORGIA AND SECRETARY OF STATE BRIAN KEMP OVER VOTING RIGHTS FOR AFRICAN AMERICANS IN PREDOMINANTLY BLACK COUNTIES AND PRECINCTS IN GEORGIA. Black Farmers from south Georgia filed suit against the State of Georgia and Secretary of State Brian Kemp alleging violations of section 5 of the Voting Rights Act, among several claims. The Black Farmers assert that the State of Georgia and The Secretary of State have failed to enforce federal laws and maintain uniformity of legal issues among all the counties that make up the state. In particular, the state and secretary have been alleged, to what amounts to putting on a charade, political gerrymandering. It is without question that the state and secretary knows counties must have preclearance from the Department of Justice or the United States District Court in Washington, D.C. before the counties can shut down polling locations or precincts in predominantly African American counties or precincts. However, this will be a showdown of epic proportions. Also named in the petition are The National Republican Committee, The National Democratic Committee, The NAACP, The ACLU, The National Democratic Redistricting Committee, The State Republican Committee and The State Democratic Committee. The Black Farmers are united and have been fighting the USDA for years on similar civil rights issues. An interesting correlation has been drawn by the farmers and the history of questionable stances on civil rights issues by now Secretary of Agriculture Sonny Perdue as former governor of the State of Georgia and his continued stance of denying Black Farmers the right to be heard at the administrative level. THE COWTOWN FOUNDATION INC.-NASHVILLE, TN. IN RE: DEADLINE GEORGIA- DEMOCRATIC GUBERNATORIAL NOMINEE STACEY ABRAMS V. THE GOP- HOW THE USDA’S STORIED HISTORY OF DISCRIMINATION COULD BE THE DECIDING FACTOR ON WHO BECOMES THE NEXT GOVERNOR OF GEORGIA. There is no doubt that the Republican Party is aware of the historical significance of the nomination of Stacey Abrams and her bid to become the first Black Female Governor in the United States. With this nomination, the eyes of the country will be hanging on her every word in regards to policy and civil rights. The Democrats are amassing a war chest for her bid to become the next governor of Georgia, but the Republicans will not be outdone. However, the one factor, that could be the deciding factor, is how Stacey Abrams tackles the issues of Socially Disadvantaged Farmers.